Published on: January 4, 2016 at 4:00 pm. Updated on: August 21, 2017 at 6:03 pm. Today we are happy to announce stream-meteor. This integration library makes it easy to build scalable newsfeeds and activity streams for your Meteor app. It’s powered by getstream.io and scales to millions of users. In this tutorial we will demonstrate how you can use the integration package. To keep this tutorial short and skip the boilerplate, we will use the awesome demo application localmarket as a starting point and use stream-meteor to build the “What’s cooking” section. Stream’s free plan includes 3 million feed updates. You can login with Github and get your API key in the dashboard. from the app’s directory. Notice that we need to supply the settings file explicitely to the meteor command. If you forget to specify the settings file API calls to Stream will fail. You can now open http://localhost:3000 in your browser to have a look at the example app without the getstream.io integration. You will be able to authenticate using your Twitter account, bookmark recipes and add a photo of recipes you cooked. 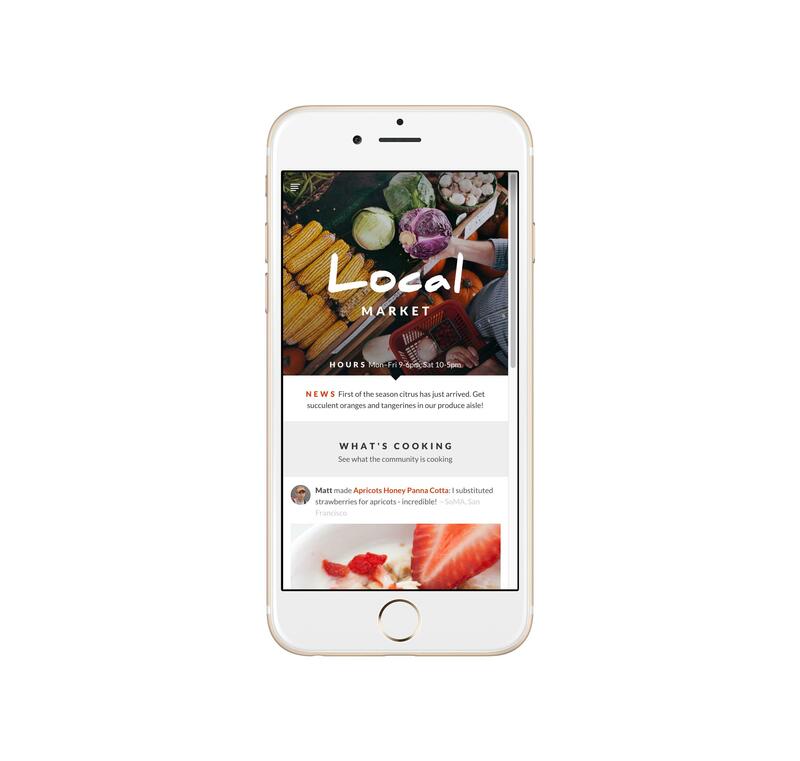 For the remainder of this post we will focus on the What's Cooking page which is the news feed page of the localmarket app. Real apps have many users, each following other users or topics. In this tutorial we don’t have real users to follow so in order to see some activity on the “What’s cooking” feed we will cheat a little and follow ourselves. This ensures that activities performed by the user show up on his own “What’s cooking” feeds. remark: In a real application the “What’s cooking” feed would display the content from followed users. Be sure to create a new account if you already created an account for your localmarket app, otherwise the What’s Cooking page will not display any activities. Feeds contain activities. Activities are Stream’s main type of data and follow the activities specification. An example activity on localmarket is “Matt bookmarked the recipe ‘Classic Ragu Bolognese’” or “Eric shared the recipe ‘Lasagne’”. We will explain more about this later on. There are two different types of activity in the localmarket app: Shares and Bookmarks. 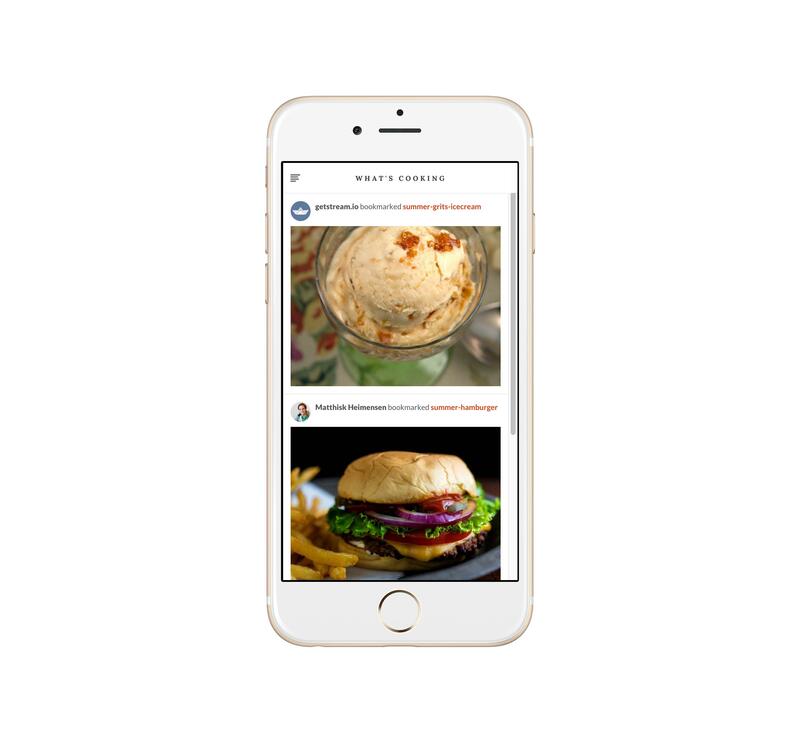 Whenever a bookmark is created or recipe is shared, our application will convert that into an activity and send it to Stream’s APIs. To be able to send valid activities to the API we need to inform the hook of which fields/values to use for the required activity properties. We set the activities verb to ‘cook’ and retrieve the actor from the ‘userId’ property on the inserted document. object is in this case the serialized document we have inserted into our collection. 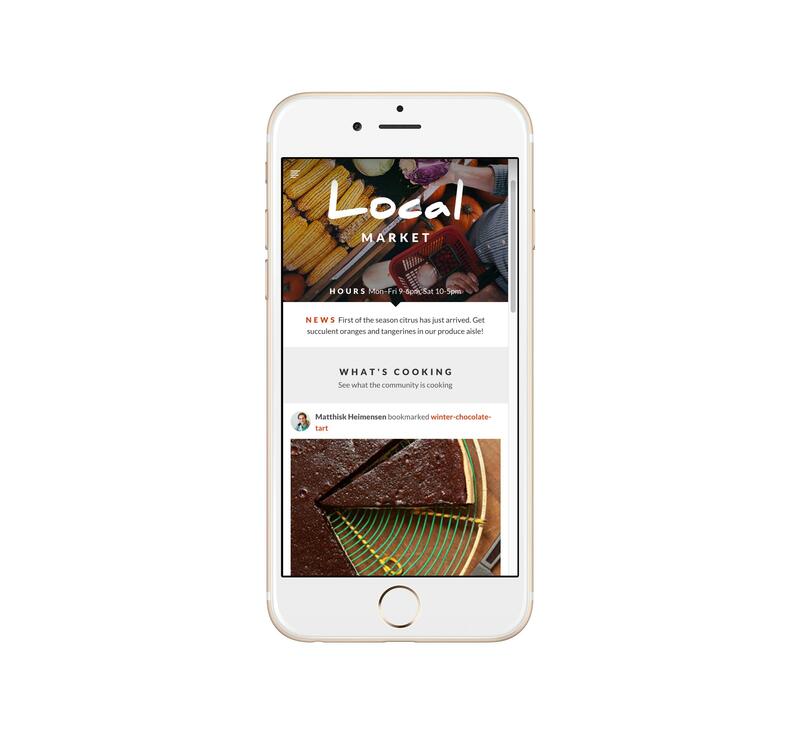 You can now create an account for you localmarket app by linking it to Twitter. Try adding a picture to a recipe and see if the activity automatically shows up in Stream’s databrowser. The integration package exposes all its methods on the Stream object, one of the properties is an instance of the FeedManager named feedManager. The FeedManager exposes methods to retrieve the different news feeds from our current user. In this case we want to add an activity to the current users’ user feed. Activities registered should have atleast the following fields to be valid: actor, object and verb. Here we set actor to a document reference of the current user’s user document (i.e. the name of the collection colon the id of the document). The verb of the action is ‘bookmark’ and the object is the name of the recipe. At this point any documents added to the Activities collection and any bookmark created through the createBookmark method are added to the user feed. The next step is to define a way of retrieving the activities from getstream.io and showing them to the user on the ‘What’s cooking’ page. Feed activities are exposed through a publication in the ‘Stream.feeds’ namespace. When we subscribe to this publication we receive the feed’s last 20 activities and receive reactive updates on any new activities added to the feed. Lets have a look at how to set this up for the localmarket example app. A subscription to a Stream feed stores its results in a collection on Stream.feeds with the name of the feed group you subscribed to. To display the feed activities correctly we have to make a few changes to the existing templates and add one new template to display bookmarks inside the news feed. Now any activities added on your account in the app should show up on the “What’s cooking” page. Now the last three activities will display on the home page. Meteor is an amazing framework and I hope you enjoyed this tutorial on how to integrate Meteor with Stream. Using getstream.io you can build, scale and personalize your newsfeeds and activity streams. This example still misses a few features. For one, there is no way to follow other users. Also we didn’t add a notification feed. We’ll leave that to you as an exercise. Be sure to read the full documentation on the github page. And have a look at the Pinterest example app build with stream-meteor, which does implement all of these features. If this is your first time using getstream.io you might also want to try this quick 5m tutorial.